Choose your weapons- Words or (S)words? Tears streaming down her face, Gy threw herself into my arms one evening after playing with her friends. While I was taken aback by the outburst of emotion, I could understand the sadness that must have hit her when a close friend chose to offload her anger by labeling her an animal of the stubborn and mulish variety. Now I was faced with logic and anger melding together to throw me off the axis, but I merely stroked her hair, wiped her tears and replied, “Well, let’s see what we can do about that.” Turning to trusty friend, Google Images, we typed in ‘Cute baby donkeys’ in the search bar. Since we agreed that mom and daughter both belong to the species (temporarily) I found this one the cutest! Her sadness dissolved, she skipped back to play, while I was left musing on the power that words wield. As writers, bloggers, parents, we have a solid responsibility to choose our words with care. What we say today can make or break a relationship, as much as it can build bridges and heal those open wounds of hurt and resentment. I had written this poem a few days ago and shared it on my Facebook page to show that what we leave behind should be a testimony to our character. What can be dismissed today as children being mean to each other is one thing. Adults are a different matter. Technically, we are the more mature of the lot. Yet, how easily do our children forgive their friends while we hold on to grudges, resentment and outspoken opinion. We never let go. We nurse those wounds over and over again, feeling sorry for ourselves and perhaps write a post on being the victim. I have done it myself. Our rants, our angst, our unbridled fury find themselves flung out there in cyberspace on our blog pages when we feel wrong or victimised. Going back and reading the post I’d written horrified me! I have since disabled public viewing of that post. That’s when I realised something. We have such power in the words we use. How we choose to use them is clearly in our domain. Should we abuse them to inflict pain and vitriolic fury on another or gently implement them to apologise and move on? There really should not be a question of debate here. The answer is clear. Say what you want, but do it kindly. If you cannot do that, do it in private, in the corners of your being where the only one listening is your conscience. I think at times, kids are a lot more mature than we are. Sometimes adults seem to behave in ways that make me think we're back in Kindergarten. Of course, that's fodder for another topic. Coming back to this, yes, words are quite powerful – they can make, break, excite, depress and do much more depending not just on the context, but also 'who' you say it and 'how you say it'. So true that kids forgive everything quickly, whether it's a friend or a parent. I wonder when it changes and we turn into these implacable beings with a very long memory where faults are concerned :(. Definitely something to ponder over, before posting that next sarcastic comment on FB! As we discussed a few days back, we really need to learn moving on, forgiving and not holding grudges from kids. As adults we tend to recall every small detail of every negative incident and hold on to the memories, thereby festering resentment! Definitely something to think about! Also it is true that the right words can remedy the worst situation while the wrong ones can make the best of situations bad. We must choose them with care especially in the context of social media ! Well said, Mam! I should have done that. Instead of venting it out on my posts! This reminds me of a similar instance I faced when my son was almost about your daughter's age. He came back from school upset that his friends called him a 'black crow' teasingly coz' of his dark complexion. My solution for pacifying him was by telling him that it was no big deal coz' even donkeys are white…so does that imply that his friends are donkeys?! He actually cheered up instantly and every time he was teased for his color thereafter, he would shoot this donkey logic at them! You make some excellent points, Shailaja. I was subjected to much name calling as a child and developed a thick skin from it, but never forgot it either. Diplomacy works best to diffuse volatile situations. My credo is “never stoop to their level – rise above”. Shows you're better than they are! ☺ There's a meme floating around the internet that works well, too: “Holding a grudge is letting someone live rent-free in your head.” Kick them out! Very well said, Shailaja! Lesson learnt. WIll also be remembered the next time I feel a strong urge to vent out my frustration, my anger, against some one who has wronged me sometime. Let bygones be bygones, use my words with care so that I don't have to repent later for having hurt sentiments. Thank you very much, my dear! “If you have nothing nice to say, say nothing” is a motto well worth pursuing. In the blogging world, sadly, there's too much acid. Very relevant topic. Name calling happens among adults too. One has to get thick skinned about it. You're right S, kids have plenty of lessons to offer us and this one about 'forgiving and forgetting' is such an important one. I see it almost every day. The twins often come home complaining from the playground yet I cannot persuade them to stay back home. They WILL go back and they WILL play with the same kids again and again and again! I was always taught that if you didn't have something nice to say you shouldn't say anything at all. I strive to do just that and emphasize that with my kids. It is better to say nothing than to say a bunch of stuff you regret the minute it is out of your mouth. If you say it, you should own it…either mean it or be sorry for it. Either way. I completely agree with you. While social media has given us teeth and an instant way to wreak revenge by using our words, it makes sense to step back and choose wisely what you write. Written words stick around. I remember having a few tiffs with bloggers over the years. To my credit, I never used my blog to get back at them. I get immense pleasure in not giving them the attention they so desperately want. Even on FB, I have become more careful. Nice way in which you tackled Gy. So very true! And when children are shown the way by adults, there is even extra care required. If someone had told that child that anger can be resolved in much better ways, she would not have had to resort to calling her friends with an animal name. Your daughter's comment about you being a donkey as well… That threw me off initially, but made me smile. It's beautiful to see how quick she was to forgive after you consoled her. Your post reminds me of a bible verse I recently read, “…take ships as an example. Although they are so large and are driven by strong winds, they are steered by a very small rudder wherever the pilot wants to go. Likewise, the tongue is a small part of the body, but it makes great boasts. Consider what a great forest is set on fire by a small spark. The tongue also is a fire, a world of evil among the parts of the body. It corrupts the whole body, sets the whole course of one’s life on fire, and is itself set on fire by hell. Oh yes, words are important and they have the power to change us. They can inspire and can also beat us into fearful inaction and self doubt. I believe that if you have nothing nice to say, don't say it at all. Liked the way you handled little Gy! I love your last sentence, Shailaja! So true and so well said. So nicely you comforted your child…you are really a great Mom.. 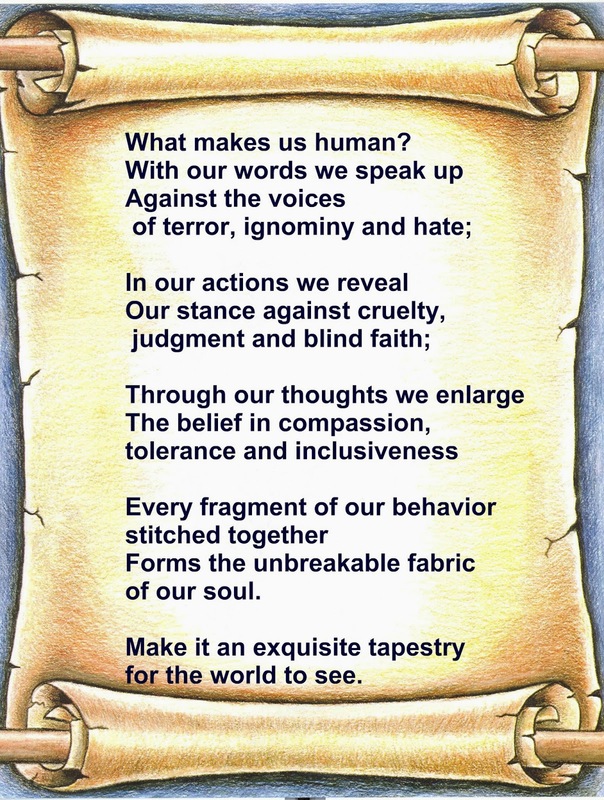 So true that our words have such potential to hurt and that last sentence is perfect. Yes indeed, it's in the quiet moments with our conscience that we truly reveal ourselves to ourselves. Beautifully told and I love the images you've used to enhance your words. Choosing to show your child a baby donkey was brilliant — look how adorable it is! Thank you for this thoughtful essay and for sharing it at yeah write. I am always amazed at how children are able to see and feel things do differently and clearly than adults like me. The best of all, their ability yo forget and move on. 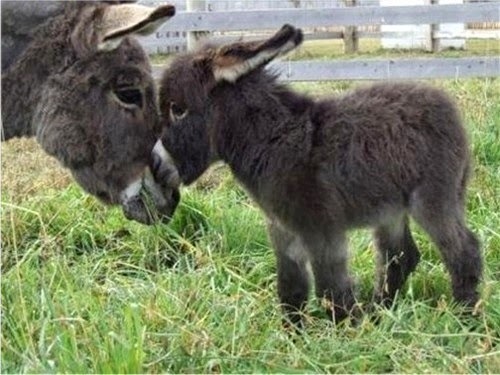 I wouldn't mind being as cute as that baby donkey.